Leadership, experience and a commitment to building a strong relationship with you, distinguishes the Ruggie Wealth Management team. We use a client-centered approach to achieve our high level of service. Rather than having just one financial advisor working on your behalf, our dedicated group of professionals overseeing your financial plan could include an advisor, portfolio manager, and client relationship manager. 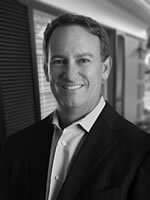 Tom, a veteran of the investment and financial planning industries, began his career in 1991 and subsequently founded Ruggie Wealth Management, which has three offices in Central Florida. The flagship company of Ruggie Capital Group, Ruggie Wealth serves individuals, small businesses and non-profit organizations. 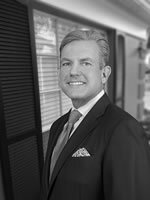 Rob Clark has been helping clients work toward long-term financial security for their families and their businesses since 2001. It is his goal to help his clients grow, protect, and manage their assets in the most tax-efficient manner. With attention to detail and organizational skill, Rob effectively manages clients’ portfolios, creating an integrated strategy aimed at meeting their investment and retirement objectives. 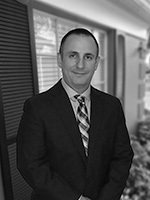 Rob is a Certified Financial Planner™ and holds a bachelor’s degree from the University of Central Florida. He serves on the Orange County Children and Family Services Board, the Orange County Animal Services Classification Board, the UCF Alumni Association Board of Directors, and is a Leadership Orlando Alumni. He enjoys spending time with his family, golfing and health/fitness. The Florida native was born in Sarasota. Audrey’s passion for educating and assisting individuals as they pursue their financial goals started in 2006 when she began her career in the industry. She received her bachelor’s degree in Finance with a concentration in Financial Planning from the University of North Florida in Jacksonville. 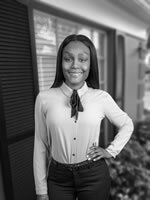 Two years prior to graduation, she began working for a local Jacksonville financial advisor and obtained her 2-15 Life, Health and Variable Annuity license. Her tenure with Ruggie Wealth Management (now Carson Wealth) started in 2011, and she has served in various roles within the firm. Her career began as an Advisor Assistant, working with Senior Wealth Advisors and clientele to support daily servicing needs. In July 2012, she obtained her Series 65 Uniform Investment Advisor licensure. Thereafter, Audrey worked directly with clients as their primary investment advisor, handling new-client and investment-account onboarding, financial planning and trading. During her early years with the company, she grew into a leadership position role alongside the RWM operations team by helping to provide oversight, support and procedural process within the firm. In 2016, Ruggie Wealth Founder & CEO Tom Ruggie began a family office division centered around clientele with advanced wealth strategy needs. Audrey has since served as the Senior Registered Client Associate for Destiny Family Office, working alongside Tom as his primary assistant. Her role encompasses coordinating family office professionals, providing seamless integration of technology and above all exemplary service to family office members of all generations. In 2018, she was promoted to Managing Partner of Ruggie Wealth Management and continues to work primarily in the Destiny Family Office division. 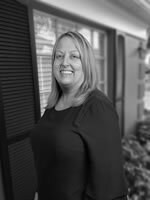 Audrey brings a vast array of knowledge and best-practice skills to our team, with experience, passion and a positive attitude. 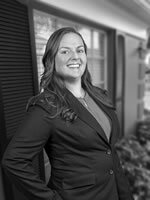 She continues to strive to further her industry knowledge and is in the process of pursuing her licensure as a Certified Financial Planner. Lou is a Chartered Financial Consultant, Registered Investment Advisor, Certified Estate Planner, and a senior member of our investment management committee. He began his career by becoming a Registered Representative in 1996. His expertise is working with high net worth Individuals, as well as small to medium-sized businesses. 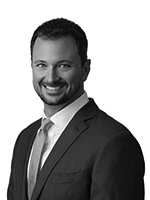 He works with a team of industry professionals to coordinate a complete financial wellness program for his clients. This includes financial planning, wealth accumulation and estate planning, income taxation, life and health insurance, business taxation and planning, investments and retirement planning. Lou is the father of two daughters, one who was born with a serious heart defect and other complications known as tetralogy of Fallot and DiGeorge syndrome. He donates his time to provide personalized financial planning to families of children with special needs to help them as they plan for their future and their children’s future. His unique experience translates to a deeper understanding of the issues, concerns and questions many clients have, and allows him to connect with them in often profound ways. He is honored to sit on the board of UCP of Central Florida, which is dedicated to enriching the life of children of all abilities, providing individualized support, education, and therapy services to thousands of children across seven campuses in Central Florida. 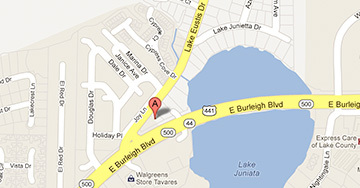 Lou attended primary school in Central Florida and received his Associate of Science Degree from Valencia College. He has traveled overseas as a public speaker focusing on investments and technical analysis. In his spare time, he enjoys fishing, traveling, and playing tennis. Lou is also fluent in Spanish. 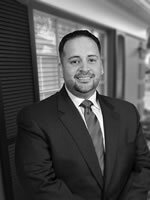 Jorge A. Romero is a CERTIFIED FINANCIAL PLANNER™ practitioner (CFP®) and began his career in the financial services industry in 2004 after having served honorably in The United States Marine Corps. 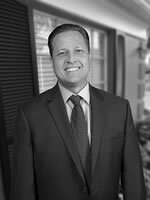 Jorge’s focus is on the establishment of strong and long-lasting relationships with clients by addressing their goals and dreams through a holistic, comprehensive and disciplined financial-planning process. Jorge also consults on a variety of personal financial topics such as asset allocation design, portfolio analysis & risk management, and retirement & estate planning. Jorge received his Bachelor of Arts in Political Science and Pre-Law along with a Minor in Latin American Studies from The University of Central Florida in 2008. 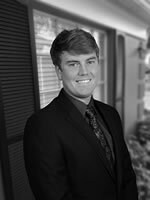 He is currently pursuing a Master of Science in Financial Planning and Taxation and is a member of The Financial Planning Association of Central Florida, as well as the Estate Planning Council of The Villages®. In his spare time, Jorge enjoys spending time with friends and family; he is also an avid reader of history, international relations and linguistics books. Jorge speaks Spanish, some Italian, and French and is always trying to learn new languages. He also loves cycling, both outdoor and on his Peloton®, as well as tennis, and learning about wine. A graduate of the University of Central Florida with a degree in Finance, she not only has a depth of financial knowledge and knowledge of retirement products such as 401 (k) plans, she knows the local market and has had a strong presence in the community for many years. Morgan is a part of the 2019 Leadership Lake County Class. Passions: Roller skating, feeding the cows on our property, spending time with family and friends. Best Piece of Financial Advice You Received: If you can’t afford to pay for it now, then you shouldn’t buy it. Favorite Quote: My life is mine. Biggest Accomplishment: Buying property with my husband, where we will build our forever home. Carol is passionate about helping her clients thrive and views her role as an advisor as one in which she supports, motivates and inspires them to explore and fulfill their vision of financial success. She uses her ability to explore and analyze complex situations to create confidence in the financial decisions people make along the journey of life. Her own journey in the investment industry began in 1984 in Boston. Since then, she has acquired numerous licenses and her Chartered Retirement Plan Specialist designation, and worked in both the retail and institutional side of the financial industry. 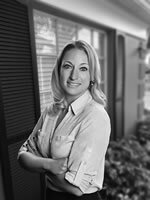 She combines her professional expertise and the knowledge gained from life, career transitions and long-term planning to provide exceptional client service and to handle unique situations & family dynamics, which all make her exceptionally valuable to her clients and their families. Her thesis at Leslie University was “Pension Plans as a Necessary Supplement to Social Security” and the benefits of starting to plan for retirement early in life. 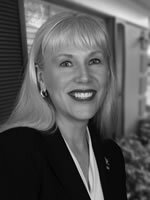 She has served on the board of directors for the West Palm Beach Friends of Fisher House since 2010. 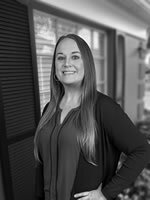 With more than 15 years of experience in the banking/financial industry, Jenni is a knowledgeable, enthusiastic professional and problem solver committed to outstanding client and advisor relations. Her primary focus is trading and advisor oversight. The Florida-native was born in Orlando and recently moved back to Florida following Hurricanes Irma and Maria, after living in the U.S. Virgin Islands. She attended Gordon State College in Georgia and enjoys traveling, attending concerts and spending time with her family. Stacy has more than 10 years of experience in the financial services industry, and is an energetic, enterprising and hard-working leader. She has served as chief of staff for a wealth management firm in North Carolina, where she oversaw the acquisition of seven firms within a 24-month period, planned and directed administrative, financial and operational activities for its CEO/President and served in a strategic and facilitative role managing all facets of the business operations at a time when the firm experienced 250% growth in revenue. She also served as the point of contact between top management and employees. Prior to that, Stacy also held accounting/controller and HR positions. A native of North Carolina, she received her Bachelor of Science in Accounting Degree with a Minor in Finance from Guilford College in Greensboro. She enjoys working out, playing with her Yorkie, playing golf, and spending time with family and friends. What Motivates You: Wanting to learn and continually be better. Favorite Quote: The smartest person in the room is the room. David helps other young professionals and business owners meet their most cherished financial goals by educating, supporting, and encouraging them along the way. A graduate of the University of Florida with a B.S.B.A. in finance and a Certificate in Personal and Family Financial Planning, it was his run-in with cancer that ignited his passion for using financial planning to live a great life even in the most unpredictable circumstances. 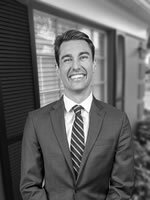 He has been quoted in Business Insider, GoBankingRates.com, and Florida Today for his expertise in working with entrepreneurial young professionals and helping them lay a solid financial foundation. Away from work, David enjoys adventuring with his wife. You can find them watching the Gators play, biking around town, soaking in the sun at the beach, or planning out their next international trip. 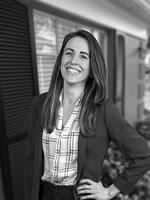 Involved with all aspects of Ruggie Wealth Management, Sarah serves as the firm’s nerve center, coordinating several responsibilities to provide smooth operations so that client service is sustained at peak efficiency. Her duties include client coordination, servicing client accounts, managing advisors’ calendars, life insurance processing and facilitating all internal and external communications – as well as assisting with day-to-day needs. Sarah began with Ruggie Wealth in 2002, which aligned with Carson Wealth in 2018. She made office management her specialty from the beginning of her career. Her formidable experience includes more than 10 years improving inner-office procedures at two other companies. 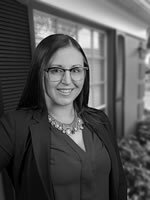 Strong communication skills, efficiency and the willingness to accomplish the task at hand are among the professional abilities that allow Sarah to excel. A native of Luray, VA, Sarah lives in Eustis with her husband. In her non-work time she enjoys spending time with her two granddaughters, bike riding, local wine tastings and traveling. Bucket List Items: Attending the Kentucky Derby and traveling to Alaska. Makayla has a passion for achieving and maintaining relationships with people, which is why she feels she is a great fit for our team! The Tampa-Florida-native grew up as a self-proclaimed ‘military brat’, which required her to live all over the world. A recent English Literature graduate from the University of Central Florida, she is currently enrolled at UCF as a graduate student in their MBA program. In her free time, she loves working on her business which is geared toward health and wellness. She has a strong passion for working out and believes that taking good care of yourself is very important. A New Hampshire native, Colleen earned her Bachelor of Arts degree in Communications/Business from Southern New Hampshire University. After nine years as a military wife, she and her family moved to The Villages® community where she served as a transaction coordinator for a prominent real estate team. When she’s not having movie nights with her three children, Colleen likes to go to the firing range, car shows, and antiquing. Travis genuinely enjoys interacting with our clients, which can be felt in his welcoming personality and willingness to help in any way needed. He makes it a point to be understanding, respectful and a good listener. A life-long affinity for numbers has driven Travis toward the field of Finance. He completed a four-year high school finance program and is currently finishing his degree in Finance at the University of Central Florida, where he is on track to graduate in the spring of 2019. Prior to receiving this internship, he was a manager at Firehouse Subs for just over two years while taking classes. He has also held jobs in construction and landscaping during the summers. Growing up in Gainesville, he has been a huge fan of college football ever since he can remember, spending a significant amount of time playing team sports, including seven years of baseball, five years of football, two years of basketball, and sandlot football and soccer games in the church where he grew up. What Motivates You: My family, and the drive to become someone who truly holds value and meaning to others.